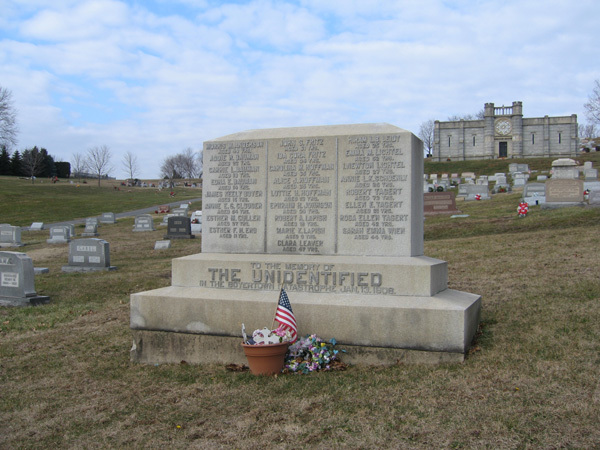 Memorial to “The Unidentified,” Fairview Cemetery, Boyertown, PA, circa 2008. Flip to “Digging The Grave for the Unidentified,” Fairview Cemetery, Boyertown, PA, January, 1908. In memory of the twenty-five victims of the Boyertown Opera House fire who could not be identified, subscribers erected this stone memorial.